This past February and March we held our first ever fabric and flour dance minis sessions in our new South Surrey studio location. Dancers came from all over the lower mainland to participate and were of all ages and skill levels. 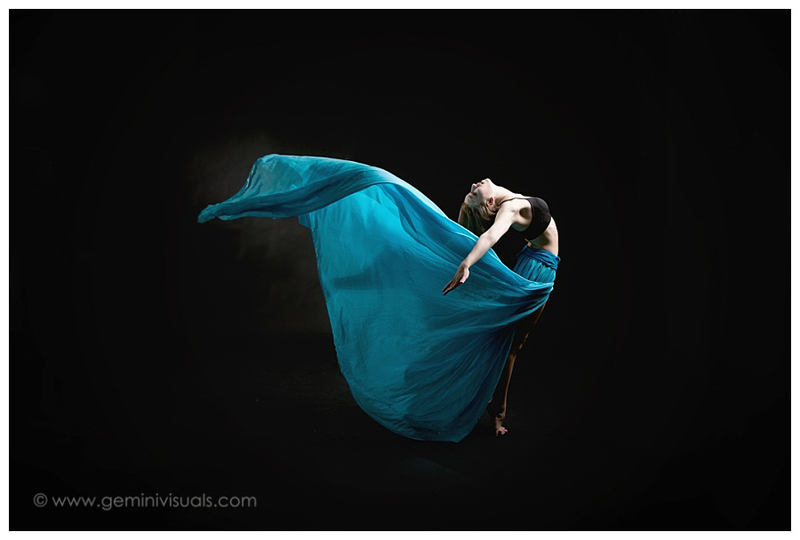 Creative dance photography is a passion of Adrienne’s and she has refined her skill as a dance photographer, offering both fabric sessions and flour sessions to create interesting imagery to highlight a dancer’s skills. When a dancer comes to the studio for their session, it helps if they have prepared a little bit ahead of time, practicing poses, looking on our website at other images, and have a general idea of some of the poses they want to achieve. We ask that dancers arrive with plenty of time to warm up and stretch and we keep the heat in the studio a little warmer to make it easier for dancing. For each mini session, we offer the option of doing your shoot with either Fabric or Flour. Both concepts are equally as interesting creatively, so it is really up to the dancer’s personal preference. As you can imagine, using flour is a tiny bit more messy (okay, more like a lot more messy) but our studio is fully sectioned off and contains the flour dust inside the shoot area. We ask that dancers come prepared with a change of clothes and a towel, and know that they will probably leave with their hair full of flour. However, the results are well worth the effort. If you are interested in participating on our next set of Creative Dance Mini Sessions, contact us, and we will keep you on the list announcing upcoming dates. 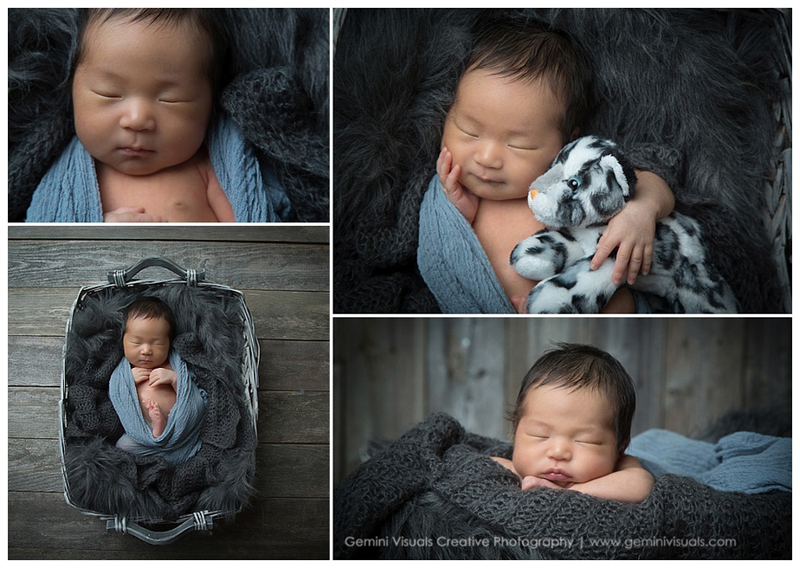 Vancouver Newborn Session | A New Baby! 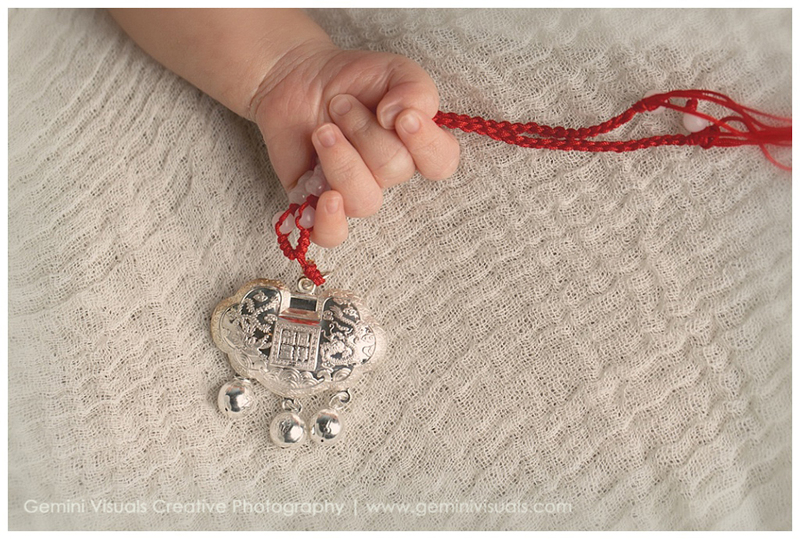 A newborn photo session can feel daunting for new parents. You may be worried that your baby won’t sleep, or will need to nurse, spit up or have a diaper accident, however, that’s all part of it! Any situation you can dream up, Adrienne has likely already dealt with it in her 20+ years as a photographer. We can help to make you and your family feel comfortable and we try to make the process go as smooth as possible. We love to see our Maternity session clients come back with their newborns to help capture this very special time in their lives. If you book your maternity and newborn session together, you will receive $20 off of your session for pre-booking. We also have our Baby’s First Year packages that can include maternity and newborn. This little bundle of joy was just a few weeks old when his parents brought him into the studio for his first photo session. We look forward to continuing to document his life as he grows up also. New parents are also encouraged to bring something special to their Newborn session as this family has done. 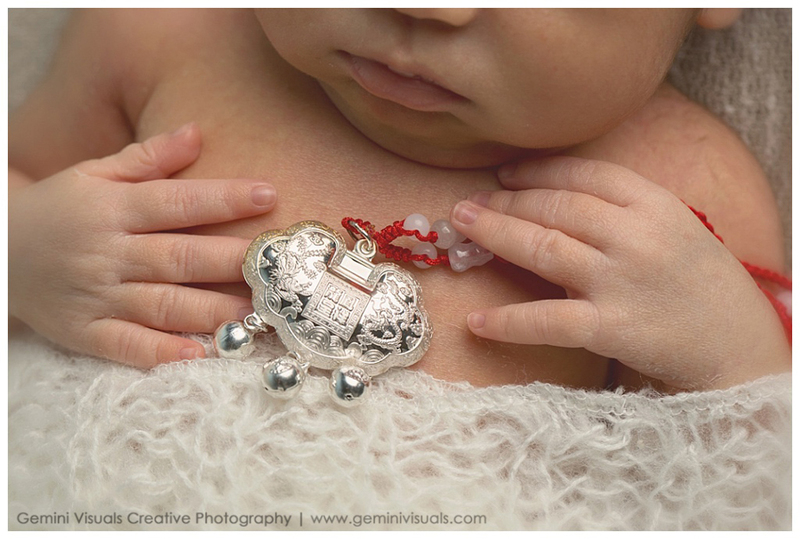 We photographed the baby with a very personal piece which has special significance to the family. Before your session, think about a momento, an article of clothing, jewelry or a special toy that has special meaning to your family or culture. 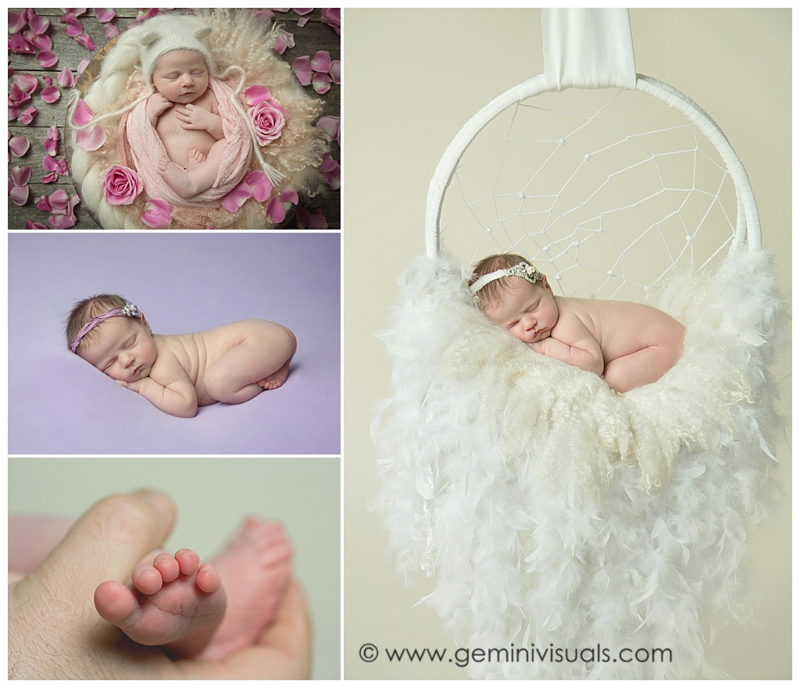 It makes a beautiful addition to your newborn session. To book your Maternity, Newborn or Baby’s First Year package, contact us. You will never regret capturing your family with beautiful photography. Maternity photos are some of my favourite to shoot, as it is such a special time in a couple’s journey to becoming parents. While maternity photos have changed in styling over the past several years, indoor portraits can be done with modern and contemporary feel, as we did with this couple. When capturing a moment as important as your maternity photos, it’s always a good idea to go all-out and have your hair and makeup professionally done. It helps to make you feel your absolute best, which is important when you are having photos taken. Some mothers struggle with seeing themselves with a little extra baby-weight, and professionally done hair and makeup can make you feel even more beautiful and help combat any insecure feelings. If you need recommendations, we can recommend an artist to do hair & makeup in our studio or at the shoot location. With this stunning mother-to-be we were able to capture a wide variety of pregnancy photos that were completely unique to her. She brought in several props to pose with and some of her own outfits, but also modeled some of our gowns from of Sew Trendy Accessories. 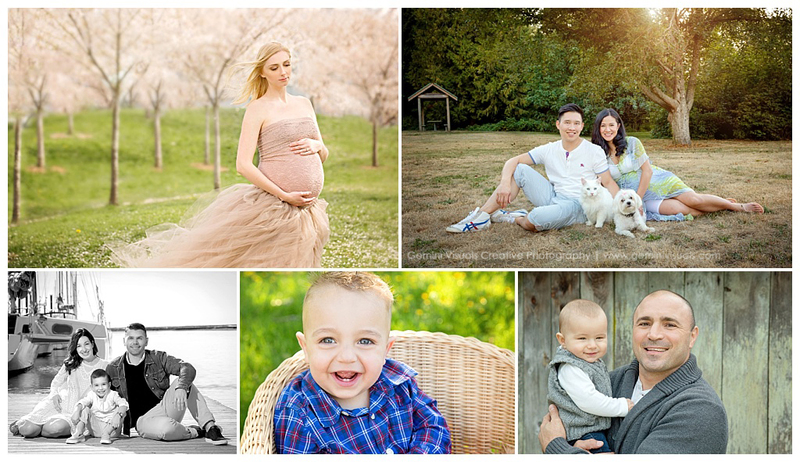 Our next session with this fabulous couple includes their newborn bundle-of-joy that arrived shortly after this shoot. If you book your maternity and newborn session together, you will receive $20 off of your session for pre-booking. We also have our Baby’s First Year packages that can include maternity and newborn. Contact us and we can advise you on a session that suits your needs. One of the joys of being a White Rock portrait photographer is welcoming back previous clients. 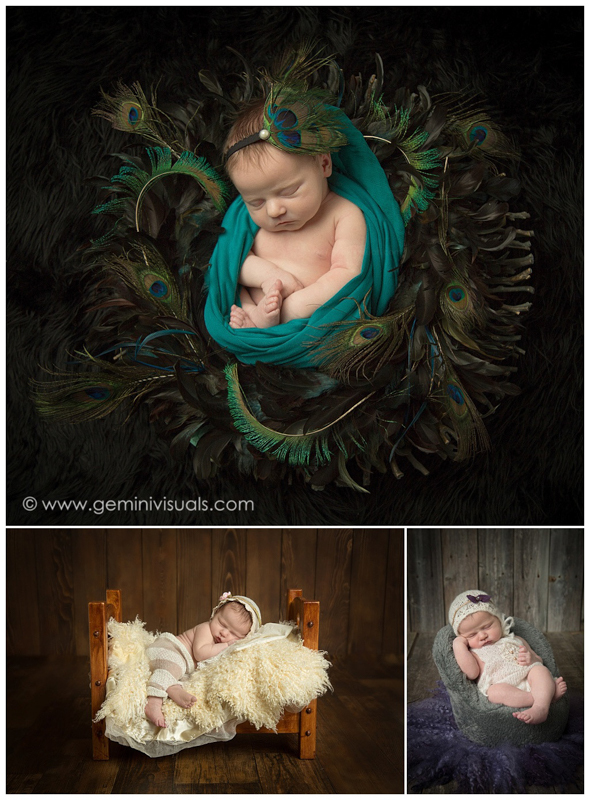 It’s so lovely to watch our maternity clients walk through my studio doors with a new bundle of joy in their arms! It’s always amazing to see these beautiful newborn babies arrive and to try to pick out features of both mom and dad while spending the afternoon with them capturing their photos. One of my favourite parts of being a photographer is seeing new babies and creating memories of this special time for the parents. While newborn sessions can seem overwhelming for the parents, I have over 25 years experience of working with babies, so I won’t push baby past what I think they will do and I won’t do anything that I feel is unsafe for your baby. I keep your baby’s best interests and safety in mind. When you arrive at your session please take baby down to diaper, and give baby a good feed. It’s ideal if you can time your feedings so baby is ready to feed or ready for a top-up when you arrive. We like to start with baby nice and sleepy! I will handle, soothe, and move baby in order to get them into the perfect position for photographs.There’s also a high chance of being pooped on, peed on, or spit up on. It’s a common occurrence, so be prepared – I’m very used to it! The studio is kept very warm to keep naked newborns calm and sleepy. I encourage parents to bring a change of clothes if we’re doing family photos, since you may want to be in something more comfortable for the rest of the session. For more information on packages available for newborn shoots, take a look at our sessions & packages here. Congratulations to this gorgeous family of three, we look forward to seeing them again soon as our new South Surrey neighbours! During our cooler months its always nice to look back on a session shot in our warmer times, at once of our beautiful parks in South Surrey. This couple booked one of our maternity packages that has both indoor and outdoor locations – the best of both worlds! We were happy to venture outside for part of this couple’s session to capture the most memorable photographs of this mom’s first pregnancy. After capturing sunset at South Surrey’s Blackie Spit Park on Crescent Beach, we went in-studio to capture the remaining vision this mom had for her maternity photos. Our maternity sessions & packages can include both in-studio and on location photos, depending on your budget and the type of photos you desire. We have a variety of maternity gowns for creative sessions, or you may choose to bring your own wardrobe. We can consult with you ahead of time and our portfolio online will give you and idea of different shoots that have been done before. Outdoor shoots help to take advantage of gorgeous outdoor light. Generally, outdoor photos tend to be less formal and can provide a variety of interesting backdrops found in nature. You may feel awkward in public locations, however we can work with you to find locations that provide some privacy that we have used in other maternity shoots. Sometimes being a little uncomfortable is worth it to create gorgeous photos that you will cherish for years to come. While you may not be thinking about your maternity session too far in advance, if you can plan ahead, getting photos done around 30 weeks pregnant will be when you are at your most comfortable. Of course, you can schedule it right up to your due date, however, planning ahead will help us to work with you to create the photos of your dreams. Spring Mini Sessions are here!! The upside? They’ll work with YOUR schedule so there’s no need to worry about not being able to make to a pre-assigned dates! The downside? We’re only able to offer 8 spots this year due to our busy schedule! CLICK HERE to book your session! If you have any questions, don’t hesitate to contact us. Sessions are 45 minutes to 1 hr (booked for one hour but if everything goes quickly we will be done in 45!) so lots of time to get fabulous photos. Sessions are for up to 5 people (4+ months only) The location is your choice of one of our local location options (including our studio!). You will receive 15 high res (printable any size) digital files. SCHEDULING: Sessions may be purchased between now and March15 and must be booked by April 30th. Dates are subject to Adrienne’s availability, but she is quite flexible at this time of the year. In-studio option available this year! Chase the blossoms and let Adrienne choose for you! Due to Adrienne’s schedule with regular shoots, we only have 8 spots available this year so book FAST if you’re interested! *Sessions must be paid for in full at booking, via credit card or e-transfer. We cannot hold spots without the payment. Sessions are weather permitting and will be postponed if the weather is not cooperating (payments will be transferable and sessions may be extended until July 15th if necessary). Package is images only, no prints included although you can order prints through us if you’d like. 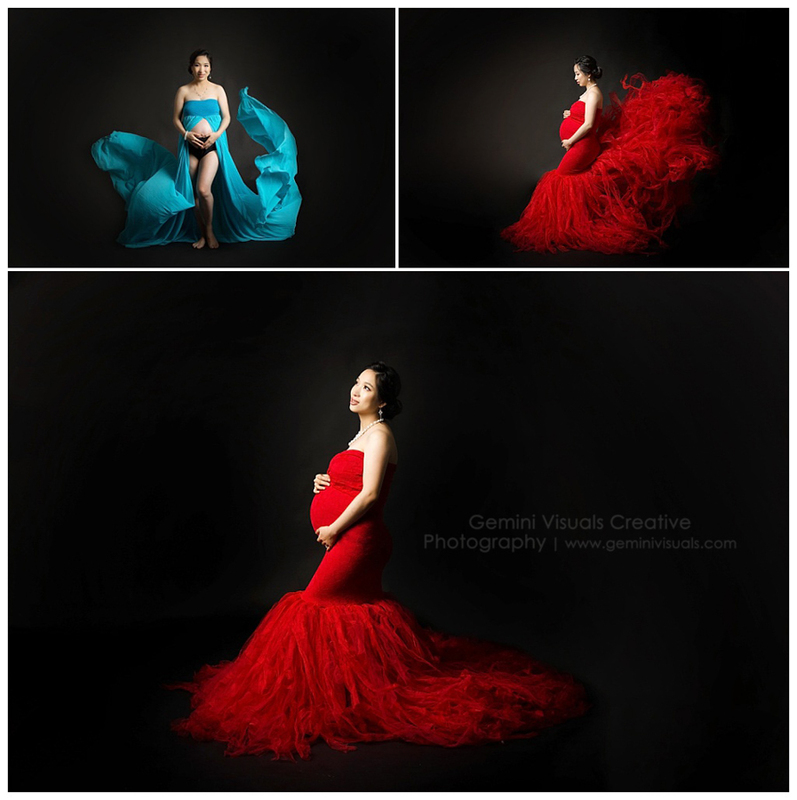 Creative dance photography is a specialty of Gemini Visuals that reflects our passion for creative photography and creating art through photography. This beautiful dancer came to us from Surrey Dance Studio Essence of Dance – which is conveniently right across the street from our South Surrey studio – a great commute! Her dance studio ran an Instagram contest, and she was selected as the winner to a mini professional dance photography shoot. You can see many more of our professional dance photography sessions using both fabric or flour on our Instagram stories and account. I’ve photographed this dancer’s headshots for years, during group headshot days held every year for the competitive dancers at Essence of Dance. So it was great to actually see her dance and her talent! 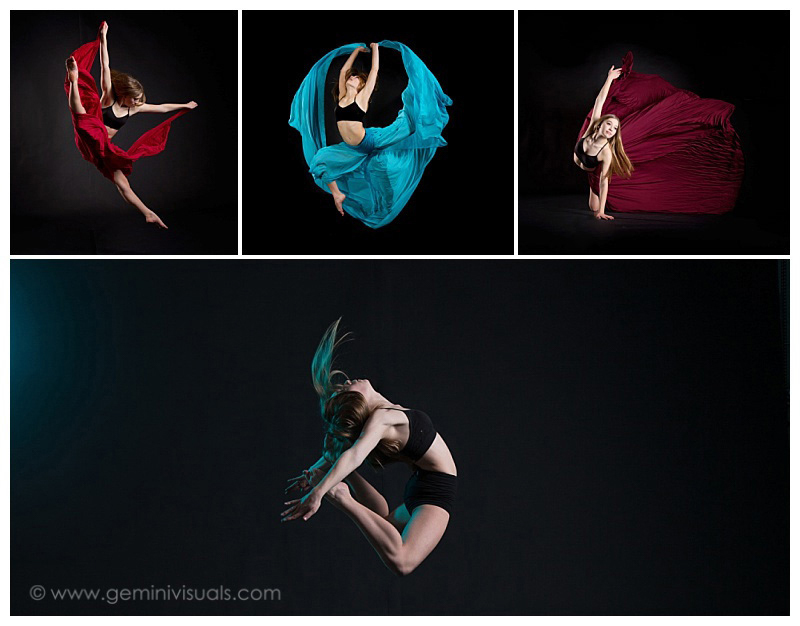 I love creative dance photo sessions as well as coming up with fun ideas to show off a dancer’s beautiful abilities. I also love using my gorgeous maternity dresses from Sew Trendy Accessories in a unique way (you wouldn’t guess these were maternity gowns, would you?!). Capturing your child’s love for dance is a perfect way to celebrate this time in their life. Many parents have told me how much their dancer’s confidence was boosted after seeing their creative dance photos. We offer multiple options for dance creative sessions. Many dancers come to our studio with their own ideas, and some simply show up with their talent. Whether you want a quick photo or a full portfolio session, or a group session with some of your dancer friends. We also offer creative group shoots for senior dancers as a perfect way to capture an art piece for graduation. Watch our announcements on our blog or our Instagram account for our next set of mini creative dance photography sessions. They fill up quickly as more dancers see their friends beautiful photos from their sessions. Having done her maternity photos, we welcomed this beautiful momma back into the studio for her third baby’s newborn photos. With 2 beautiful boys already, the new addition in this family was a gorgeous baby girl. We were happy to go all-out girly with this indoor photo session. Mom loved using our large collection of newborn headbands and hats. We used our infamous peacock prop and our ever-popular rose petal newborn set up. We have a large selection of props and set-ups and can coordinate with you ahead of time via email if you have any specific requests for specific colour schemes, props, poses, or have certain dislikes. You’re also welcome and encouraged to bring in any items you’d like to include. Some possible suggestions: • stuffed animals • personal blankets • sports memorabilia • hats • wedding rings or personal items (veils, jewellery, ring pillows, wedding saris, etc). 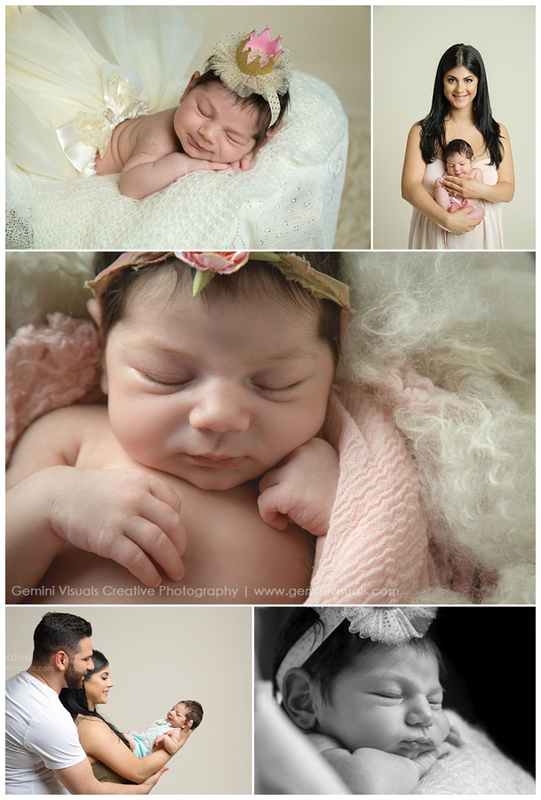 We are in love with how these beautiful baby girl’s newborn photos came together! 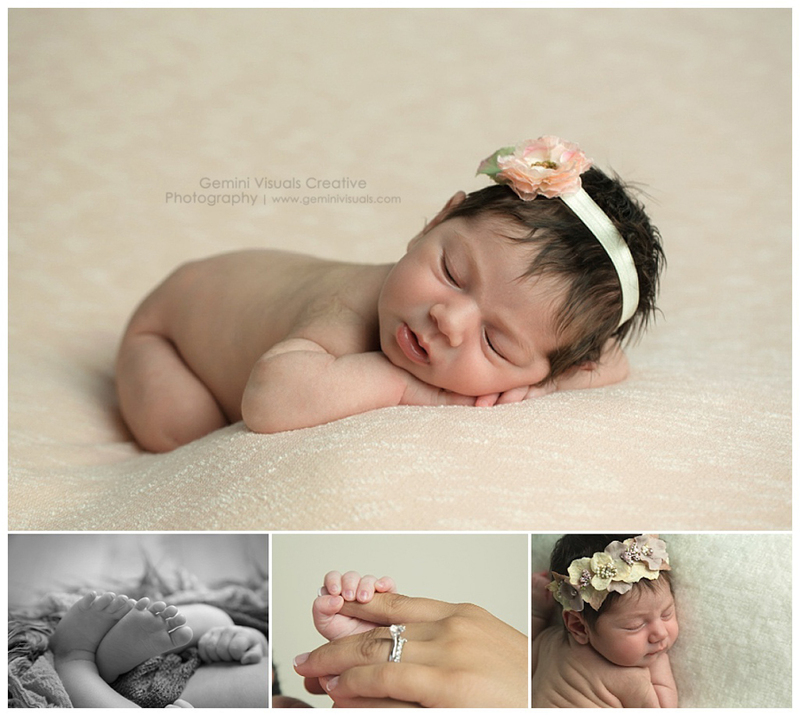 If you are considering your own newborn photo session, there are a few tips to keep in mind in order to make the day run more smoothly. In preparation for your newborn photos, it is best if you pack your bags the night before so everything is ready. The prevents panic before the session where it’s easy to forget something. Make sure to remember your black shirt or t-shirt for yourself for the baby-in-arms photos. Don’t forget to pack food/snacks for yourself or others attending the session (siblings etc). There are plenty of options for food located around our studio and you’re welcome to step out if you need anything. If other children are attending, it is helpful if you bring entertainment for them or have a helping hand to keep them occupied or to take them home. We encourage you to be as relaxed as possible to ensure a stress free environment for baby. Newborns can react to a parent’s mood, so sessions may go less smoothly if you’re stressed and anxious. Once we start the session it may take several minutes for me to soothe baby into a sleepy state. 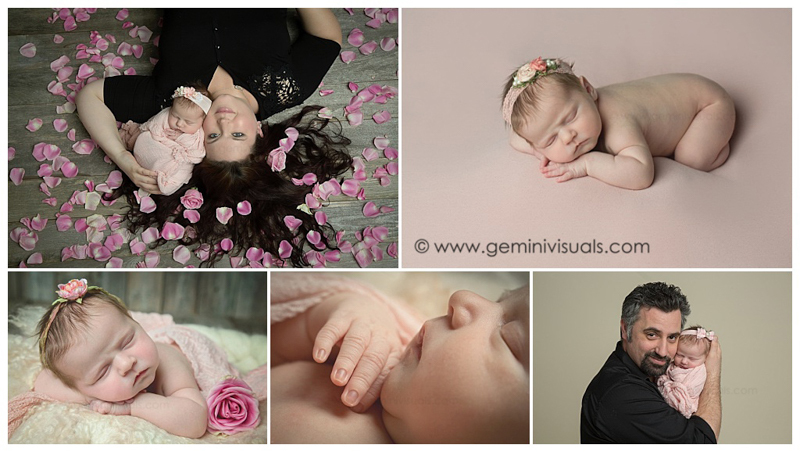 We welcome you to view our portfolio of other newborn sessions and then contact us to book your newborn photo shoot. 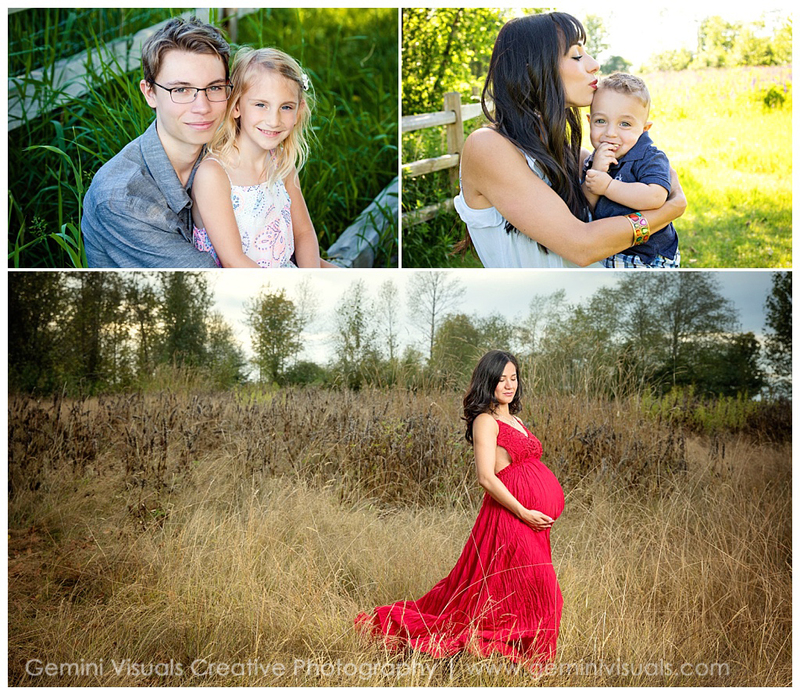 Milestone Photographer Surrey | Brave Mama! 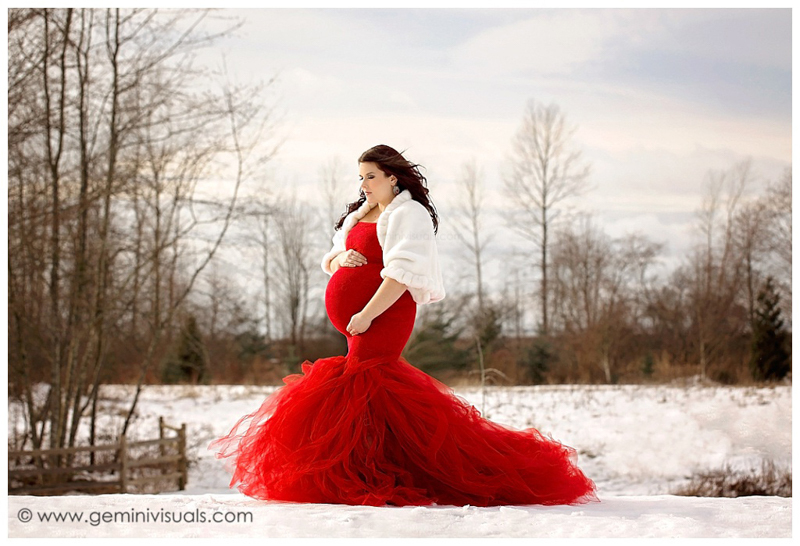 We met this momma and her wonderful family last winter for her maternity photo session. 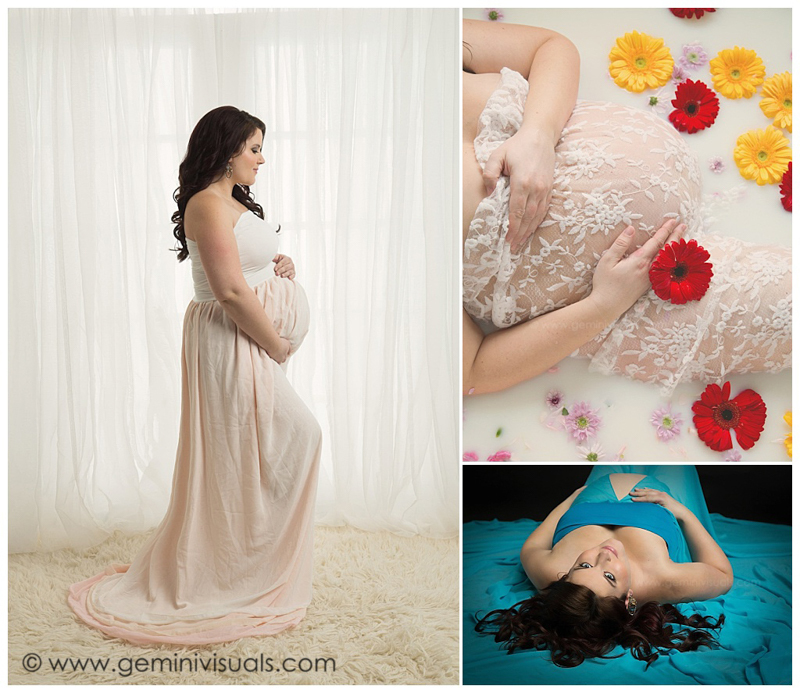 She went all-out to capture baby number three’s belly photos by booking our maternity package that included both indoor and outdoor sessions as well as a milk bath session. We started the session with family photos in our South Surrey studio and did several photos featuring some of our maternity gowns by Sew Trendy Accessories. Milestone sessions refers to Baby’s First Year packages to mark milestones in your child’s life – starting with maternity, their birth, 6 months, and a first birthday cake smash session. Many new moms-to-be hesitate to book maternity photos, and yet by the time they have their second or third baby, they are more comfortable with pregnancy and wish they would have captured images when expecting their first children. Maternity photos are a lovely way to document this special time in your life, that you may not ever experience the same way again. We are well-versed in posing expectant moms-to-be and have a wide variety of wardrobe and prop ideas in order to create gorgeous photos that you will treasure after your baby is born. We then ventured outside to Elgin Heritage Farm in South Surrey to brave the cold to capture some striking pregnancy photos of just mom and dad in the snow. No matter the time of year, rain, snow or sunshine, shooting outdoors takes advantage of natural light which makes for dreamy photos. After posing the client in the snow, we went indoors to our studio location in South Surrey, to warm up with a relaxing milk bath session for this mom-to-be. Surrounded by beautiful flowers she was able to relax in a huge bath of milk! 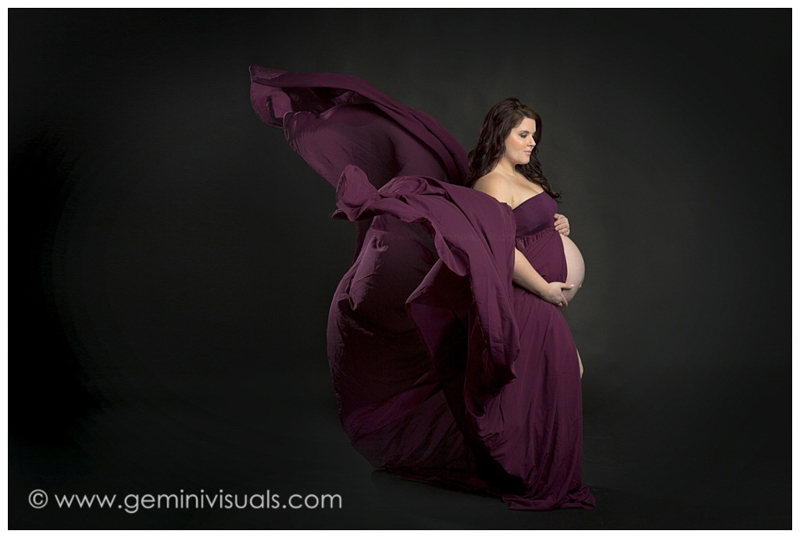 We truly captured some unique images and memories for this mama’s third pregnancy. Visit our portfolio page on our website for more ideas for your maternity session and feel free to contact us to book a milestone session for your family. Several months ago, I had a booth for Gemini Visuals at the first Dance Xpo in New Westminster put on by Just Dance Magazine. The beauty of setting up a booth at trade shows or events that are in a different location than our South Surrey Studio is that we get to meet new faces and tell more people about our creative dance photography packages. As part of this expo, we offered a free creative dance session as a door prize to one winner. Surprisingly, the winner traveled all the way from their home in Kelowna for this dance photography session! She’s a talented dancer, and we had a great time capturing her marvelous jumps and acro poses. Each person brings their own experiences and techniques to their dance photography session, and sometimes we are able to create an abundance of photos and poses that we haven’t done before, simply because of what the dance brings to our studio. Working with young talented dancers has long been a passion of Adrienne’s, a former dancer herself. Take a look at our Instagram account for stories of our most recent dance photoshoots, and our portfolio to see exactly what can be achieved in our Surrey Studio for a dance photography session. Contact our studio to learn more and book your own creative dance session. With flour or fabric, outdoors or indoors, we are open to creating beautiful art that you or your dancer with cherish for years to come.